The University of Sheffield Faculty of Social Sciences has funding for at least 23 PhD scholarships for 2017/18 entry. These include Doctoral Academy scholarships, with further scholarships likely to be available through the ESRC White Rose Doctoral Training Partnership competition. 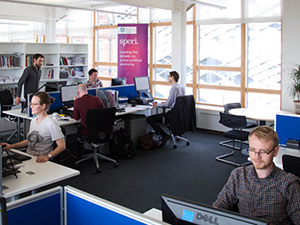 SPERI offers a dynamic and stimulating research environment in which students work in the open-plan SPERI office at the heart of the University of Sheffield campus alongside SPERI’s staff. We seek ambitious, talented graduates or postgraduates who aspire to contribute to world-leading research and to make a difference in the world. If you have a doctoral research proposal covering one of the areas below from a political economy perspective and wish to discuss it with a member of SPERI’s staff, please email speri@sheffield.ac.uk in the first instance and the most appropriate member of our team will get back to you. The deadline for scholarship applications is 5.00pm on 1 February 2017. For full details of the University of Sheffield PhD scholarships and to apply online, please click here.